Welcome to my homepage. I’m a Professor in the GIS Program at Vancouver Island University. I also teach courses at Johns Hopkins University, Elmhurst College and Simon Fraser University. Here you will find information about my teaching, a description of research activities, as well my complete CV and list of publications. 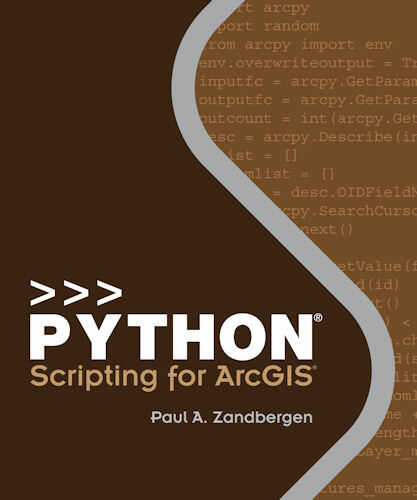 In January 2013 my book Python Scripting for ArcGIS was released by Esri Press. ISBN-10: 1589482824. More details about the book can be found at the Esri Press page of the book, as well as on the Python Book tab of this website. The book was recently reviewed by the VerySpatial blog. The book has been reviewed in the May/June 2013 issue of the GIS Professional. Since publication a large number of reviews have been published on Amazon with an average rating of 4.6 out of 5.0. � 2019 Dr. Paul Zandbergen. All Rights Reserved.